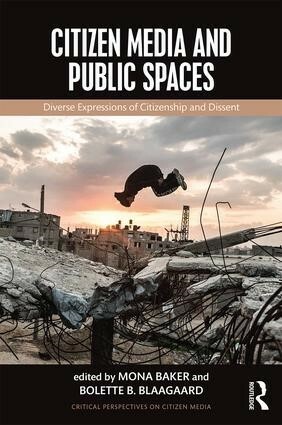 The essays collected in this book adopt different disciplinary approaches to point out the forms of citizens’ participation developed in the field of contemporary public art and urban design. 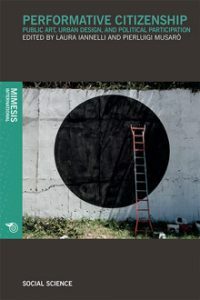 From Sardinia to Queensland, New York to Bologna, Hasselt and Genk to L’Aquila, Rio de Janeiro to Utrecht, these essays analyze a variety of projects that deal with political conflicts of the societal life in the urban spaces, such as environmental risks and immigrant populations; propose diverse forms of citizens’ participation in the representations of marginalized interests, values, problems, and needs; offer to citizens and policy-makers new ways of thinking about territory renewal; and aim to reorient the decisions taken in the field of institutionalized politics, either denouncing territory governance or supporting its improvement. Laura Iannelli is Assistant Professor of Sociology of Culture and Communication at the University of Sassari. She received her Ph.D. in Theory and Social Research from Sapienza University in Rome. She has published various book chapters and articles on communication and participation and in 2016 authored the book “Hybrid Politics. Media and Participation” (Sage). Pierluigi Musarò is Associate Professor of Sociology of Culture and Communication at the University of Bologna, Visiting Fellow at the London School of Economics and Political Science, and Research Fellow at the Institute for Public Knowledge, New York University. He has co-edited, with Paola Parmiggiani, ‘Beyond Humanitarian Narratives’, Sociologia della Comunicazione (2013). If They Have Access and Interact, Do They Really Participate?